This week on Sound Opinions, the doctors are in. Jim and Greg diagnose some common musical problems and provide their rock ‘n’ roll cures. Plus, they'll review the latest album from the always irreverent pop singer Peaches, and Greg adds a track to the Desert Island Jukebox. Online social forum MySpace.com is the number-one most-frequented web site in the U.S., according to internet traffic firm Hitwise, placing MySpace above Internet giant Yahoo. And while these stats are sometimes dubious, the influence of MySpace on the youth market, and particularly on music fans, cannot be denied. The website, which started as a rather grassroots way for bands to post their music and communicate with fans, caught the attention of major labels and media insiders. It was purchased by Rupert Murdoch last year, and is already being copied by the likes of Walmart. Record labels seem to be trying everything under the sun to make their products stand out. Two recent gimmicks caught Jim and Greg's attention. The first was by pop diva Janet Jackson. Ms. Jackson hasn't been heard from in some time and is hoping that her upcoming album, produced by boyfriend Jermaine Dupri, could be her big comeback. Her label, Virgin Records, wants fans to get in on the marketing as well. They're leaving it up to the public to create the album art for 20 Years Old, due out in September. Fans are limited to Jackson-approved photos, though, so you won't be seeing any of this in record stores. The second pop star stunt comes from Jessica Simpson. The ex-newlywed recently released the single "Public Affair," and besides playing it on MTV, airing it on the radio and selling it on iTunes, the Simpson camp is also offering a customizable version. Fans who want to feel close to Jessica (or, rather, her backing vocalists) can purchase versions of the track with their names inserted into the lyrics. There are about 500 names to choose from, so thankfully it wasn't hard to find“Jim”or“Greg”— but those with unusual names will have to wait a few weeks. Sorry, Suri. This week, Jim and Greg play doctor — rock doctor, that is. They‘ve decided to launch a new experiment where they help a listener in need of musical help. Let’s hope they don't get their licenses pulled. Their first patient is Chicago Public Radio colleague Peter Sagal. The Wait, Wait… Don't Tell Me! host listens to the show, but confessed to Sound Opinions that he doesn't always“get it.”Peter is a music fan, but is stuck in a bit of a rut, and has come to Drs. Kot and DeRogatis for some healing. After their initial consultation, our hosts discover that their patient is a huge Elvis Costello fan. He also digs Tom Waits and Nick Lowe, and has ventured into newer territory with artists like Neko Case and Ben Folds. Peter also reveals that he likes "Jesus Walks," but may be the last person on the planet who hasn't gotten into Kanye West. Greg cues in to Peter's fondness for singer/songwriters and theatricality. He also notes that much of the music Peter likes has a fairly wry, intellectual sense of humor. So, his prescription includes an introduction to the music of The Decemberists. Frontman Colin Meloy, who was also a guest on Sound Opinions, has a literary, almost Broadway-esque style that Greg thinks might cure what ails Peter. He also suggests that Peter check out the New Pornographers, the band that features Neko Case on vocals. Jim's first prescription caters to Peter's dark sense of humor. He recommends a dose of the new (and improved, according to Jim) Belle and Sebastian. The Scottish band was always a bit too twee for our host, but on this year's The Life Pursuit, they create a sunnier, poppier sound, though with no less dark a point of view. Jim also instructs his patient to go for it and listen to Kanye West's second album, Late Registration. He predicts Peter will appreciate the rapper/producer's compositions and innovative orchestrations. Peter followed his doctors‘ advice for a week, and returned to let them know how he feels. He admitted that he enjoyed most of their choices. He has never been a Belle and Sebastian fan, and probably won’t become one any time soon, but he understands why Jim recommended the band. And he tells Greg that he will continue to dig deeper into the The Decemberists and The New Pornographers. But the clear cure here was Kanye West. Peter was absolutely floored by how much he loved Late Registration. He definitely understands what all the fuss is about now. Therefore, by turning their patient on to even one new artist, the doctors can consider their medical experiment a success. They've got one patient in recovery and look forward to healing some more. So, if you or anyone you know needs to consult with the rock docs, please email Sound Opinions and tell us where it hurts. 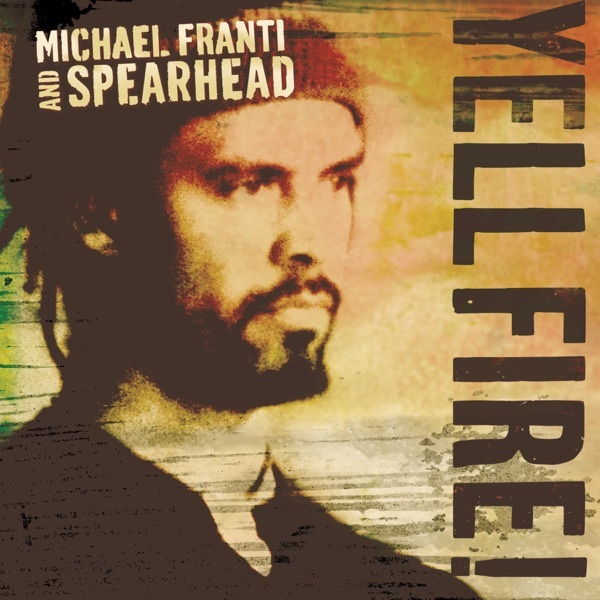 Michael Franti and Spearhead Yell Fire! Politicially charged group Michael Franti and Spearhead has a new album out this week. Michael Franti's songwriting has ranged from R&B to funk to hip hop, and he's been a part of numerous groups including The Beatnigs and The Disposable Heroes of Hiphoprisy. On this effort he expands his sound with the help of reggae greats Sly Dunbar and Robbie Shakespeare. Much of Yell Fire! was recorded in Kingston, Jamaica with the seminal Jamaican producers. While the album's sound is slightly different, the message is no less socially conscious. Franti recorded it after a trip to the Middle East in 2004, and has also released a documentary film based on his travels. Jim respects Franti's message, and strongly recommends people see the movie — but he thinks that the lyrics are weak and wishes Franti didn't sound like he was trying so hard with the reggae sound. His rating is on the cusp between Burn It and Trash It. Greg disagrees, and thinks the production and the dancehall beats were done well, but he has to agree with his co-host about many of the cheesier, U2-style ballads. It's a Burn It for Greg. 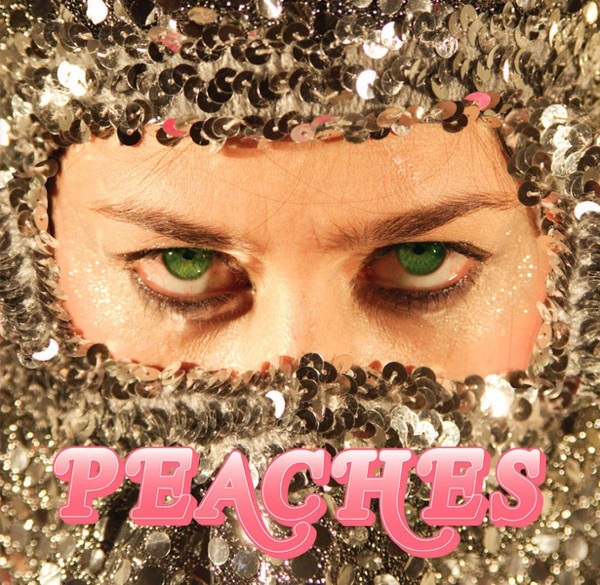 The second album up for review is from Peaches. The Canadian electroclash singer, born Merrill Nisker, has just released her third album, and it doesn‘t fail to deliver the controversy. Jim and Greg couldn’t even say the record's title, Impeach My Bush, on air, instead opting for“Impeach My President.”Peaches, who has toured and collaborated with artists like Justine Frischmann of Elastica, M.I.A., Feist and Gonzales, has always enjoyed pushing buttons and playing with gender roles and cultural norms. Greg appreciated this sensibility when it was paired with sparse production and Peaches‘ trusty beat box, but he found he was much more entertained by her live show than her albums. Greg doesn’t think her ideas are as strong as her visual presence and can only give Impeach My Bush a Burn It. Jim, on the other hand, believes this is Peaches' first beginning-to-end album, and loves her take on the Bush administration, as well as her modern feminist philosophy. He gives it a Buy It, and would even purchase a copy for his daughter. 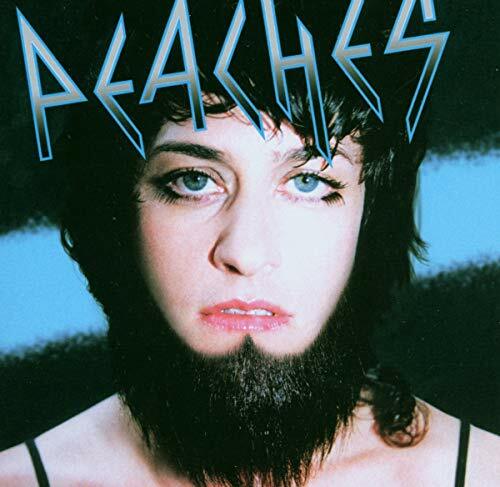 As a nod to Peaches‘ irreverent, gender-bending ways, Greg digs deep down in his music collection for this week’s Desert Island Jukebox pick. He chooses a track by '70s and '80s model/pop star/diva Grace Jones. Before Peaches, or even Madonna, shocked and awed people with their controversial lyrics and style, Grace Jones was crossing lines between genders and musical genres. She was beautiful, but also masculine. Her music was rock, but also disco. So, like David Bowie, Jones had audiences questioning the idea of identity. But it wasn't until she collaborated with Island Records founder Chris Blackwell and his Compass Point house band that she made music that could be taken seriously. Greg chooses to play her cover of Joy Division's song "She's Lost Control." In her version, Jones assumes the role of the woman on the verge of a losing her mind. And after listening to the song, you may find that this role wasn't such a stretch. Elvis Costello, "Blood and Chocolate"
Michael Franti & Spearhead,“Time to Go Home,”Yell Fire! Michael Franti & Spearhead,“Everybody Ona Move,”Yell Fire!